There’s no point in having a great looking website if no one can find it when searching for your product or service in major search engines like Google or Bing. That’s why having a solid search engine optimization (SEO) strategy is critical to your success. And the more control you have over your content and the structure of your site, the better. Sure, the low cost website creators have gotten better about incorporating some behind-the-scenes SEO best practices, but what they can’t offer you is the one-on-one attention you will need to formulate that strategy from day one from keyword research to competitive analysis. A professional will give you sound advice, like not including text on your images because search engines can’t read them, and other valuable tips based on years of experience. It’s hard to see five years into the future when you’re just getting started, but like birthdays and holidays, they come fast! What happens when you’re ready to add that online store, or integrate your website with another platform? When your needs become larger than a drag-and-drop builder can provide, you might just discover that you don’t actually own your site. Those low-cost monthly rates are actually more akin to rental fees. You can’t port your site over to a designer in order to incorporate more complex features because the site isn’t actually yours. It can come as quite a surprise to learn that your site will need to be re-built from the ground up. Any good website design firm is well versed in internet security. And should anything malicious occur, you can be assured that they are prepared to handle it. From backing up your site to keeping on top of the latest security protocols, they are pros at responding to issues before you even know they exist. Unfortunately, many of the drag and drop website providers are vulnerable to attacks, as a quick Google search will reveal. It pays to know up front how security issues are dealt with and if there are any hidden costs to data backups and site restores. Think you don’t care about fonts or color combinations? Spend a half hour with a professional website designer and your head will be spinning from the endless possibilities. Yes, serif fonts convey a different feel than non-serif fonts. Color does matter. And what about custom logos that convey your brand personality? There is a level of personalization and expertise that you just can’t get from a DIY solution. And it shows. Drag-and-drop services can reel you in with low monthly fees but what happens when you want access to your website analytics? You’ll have to upgrade to a premium account. Need more storage? That will be extra. The bottom line is that as your business grows, your needs will grow. You’ll want to be sure that whatever platform your website is built on can handle your future. But what if you don’t know what you’ll need in five years? A professional website designer can offer experience-based guidance. It’s basically the next best thing to a crystal ball. Let’s face it. Technology is fast moving and ever changing. Making sure your website is optimized for mobile devices and tablets is just the tip of the iceberg. 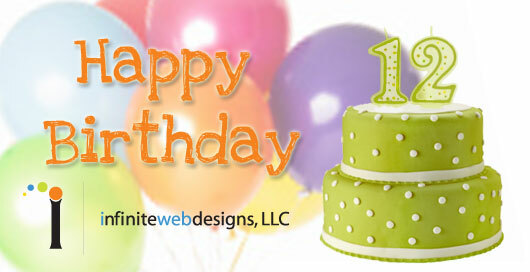 Professional web designer will make sure your website is up to par – even behind the scenes. They will make sure any plug-ins you use are updated and functioning properly and will provide ongoing advise about new developments that will keep your website running smoothly and efficiently. And what about analytics? A pro will be able to run an analytics installation and start capturing your data on day one – valuable data that will help you with future marketing decisions. In short, professional website designers offer so much more than design. Using an out-of-the-box, drag-and-drop website builder might seem like a cost savings initially, but using a professional website designer from the beginning can save you time and money in the long run. And that doesn’t even count the opportunity cost of lost revenue from a website that doesn’t look unique and professional. Before you build a website, do yourself a favor. Talk to a professional. The alternative will probably cost you more than you think. You might find it doesn’t pay to go at it alone. 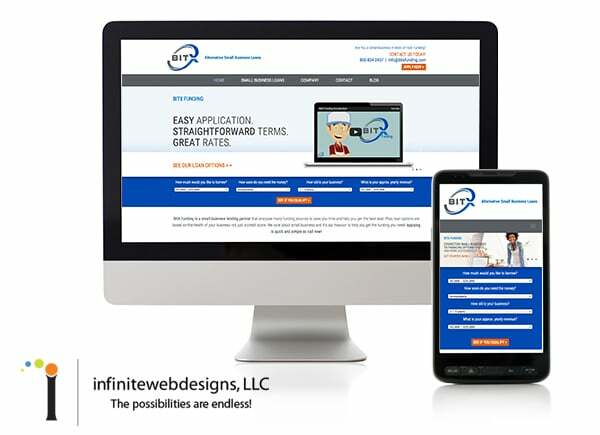 Infinite Web Designs is a full-service web design and development agency also offering digital services that drive traffic to your website, increase sales and generate leads and build brand awareness. JUST LAUNCHED: WEBSITE REDESIGN FOR BITXFUDING! IWD is proud to share with you the recent launch of BitX Funding’s redesigned website. 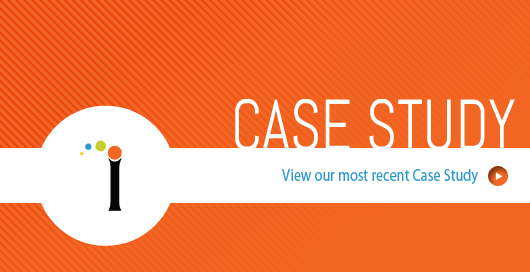 When BitX Funding came to us, they had an existing website that wasn’t meeting their needs. They were looking for a site that instilled trust with their prospective customers, as well as automated lead capturing, and a streamlined digital application process. The site needed to be mobile friendly with a professional, modern-branded design. Search Engine Optimization (SEO) was also a priority for BitX. Our first step was to look at the existing site’s information architecture, and map out how it could be improved upon. We added additional content pages to help explain their products and services to the viewer – and the search engines. Page ranking would be imperative in helping them achieve their goal; a site that generates more leads. Next we designed a BitX-branded site that exudes trust, and developed it responsively so any viewer – no matter the size screen they are using – could navigate and read the site easily. We automated their lead-capturing process and connected their website forms by using Nimble, a third party CRM system. We divided their current online application into a multi-step process simplifying the information gathering stage and making it more user-friendly. With the addition of a progress bar, the customer can see how much of the form they have completed. When a new prospect fills out this online application, their information is automatically added to the email marketing system. This allows BitX to nurture that relationship and remain in contact with them. The best part is, if a prospect only completes the first part of the form, they’re still added to the contact database for future follow up! This ensures that all leads are captured. BitX Funding’s website is built on a WordPress platform allowing them to update their content internally. They can add pages and blogs without additional cost. At IWD, we empower our clients by providing affordable solutions so they can grow their business responsibly. Our goal is to enable our clients to work ON their business instead of IN their business. For clients that prefer IWD handle site additions and maintenance, we offer scalable website packages that fit their needs. If you have a website that isn’t helping you meet your business goals, needs updated functionality or to be mobile responsive, give us a call or send us an email. 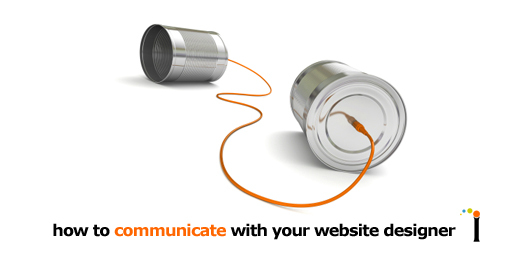 We’d love to schedule a consultation to discuss how we can take your website to the next level and make it work for you! June 5th was a HUGE day for us at IWD as we launched our first large-scale municipal project. The Board of Library Trustees of the Fairfield Public Library generously funded a new website for their library system and we had the privilege of helping make their vision come alive! It took 15 months to complete the project and we couldn’t possibly be more proud and excited. Fairfield Public Library located in Fairfield, CT is comprised of a Main Library and a Branch known as Fairfield Woods. Their website averages over 2 million hits a year and their physical libraries serve an average of over 2,000 patrons a day. In a town with a population of 59,000 it’s clearly a hot spot. Analysis conducted by IWD alongside FPL staff showed some key elements of the previous FPL website were under accessed by the public; that data gave us a great starting point. Because the FPL staff work with the public every day, they came into planning sessions with impressive insight regarding what the new site needed to best serve the public.Of course the design needed to be visually attractive but at the core of everything was navigation, navigation, navigation! This meant organizing content in a manner that was intuitive, making it easy to access for all ages. Because the library offers such a wide range of services and programs, there was a lot of information to incorporate into the architecture. It was a great feeling for us to work with a library we love in our own backyard! If you look up team effort, this project really fits the bill. That patrons are telling us about their positive experiences accessing information about their library and its wonderful services on the new website makes it especially fulfilling. What happens if you hit the dreaded update link on your WordPress website? Is curiosity getting the better of you? 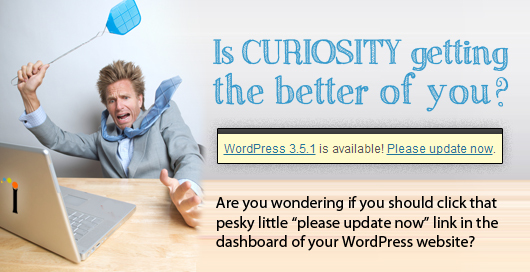 Are you wondering if you should click that pesky little “please update now” link in the dashboard of your WordPress website? Well, there’s good news and bad news. The good news is, yes, you should be paying attention to keeping your website up to date. Why? Security – Outdated software and components mean higher risk of viruses and exposure to hackers. 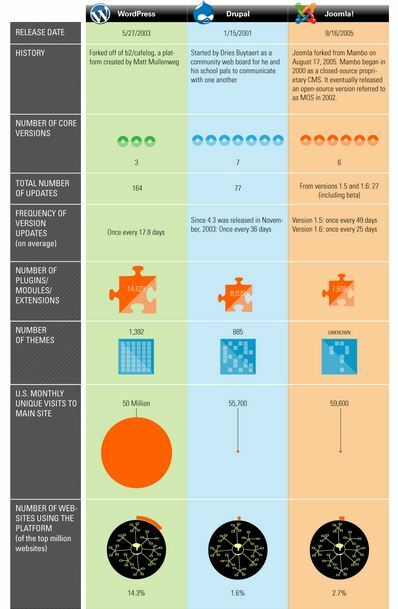 Every time WordPress releases an update it means the previous version has vulnerabilities that have been resolved. Just as you update your anti-virus software quarterly or annually, you need to use the same vigilance with your website. Site Improvements – Code is getting leaner and faster. A software update can speed your site load times. Keep in mind that Google and other major search engines factor load time into their ranking results. A slow load time may mean a competitor’s site that loads faster gets ranked higher. New and improved functionality – The public has grown pretty sophisticated about what they want and expect from a website. Using out of date technology may reflect poorly on your business. For example, is your website compatible with mobile devices such as smart phones and tablets? If your website is providing ecommerce, are you offering a full-range of options to enhance your customer experience? As with any software or plug-in update there are risks to take into consideration when updating your WordPress site. What are the risks? Breaking your site – By updating a component and not checking for compatibility with your website you may break the layout/design of the site and impact the functionality. Inaccessible – An update may cause the site to go down and make it inaccessible to browsers or display an error page. Another accessibility issues when updating a site may occur when there are excess files that need to be removed. If not removed, the site may not load, leaving you scratching your head and calling in an expert. Lack of experience – There are precautionary measures to take when doing a site update. Infinite Web Designs is experienced in these site maintenance precautions which ensures a smooth updating process. That will save you time and aggravation! When creating a website there are many things that designers have to take into account. What will the website be used for? Who is it targeting? How should it function? The more a client shares with a designer about what they are looking for, the easier it is for the designer to create the website they truly want. IWD has been designing websites since 2001; we have come up with a few tips to help you get the most out of working with your designer. Are you going to need a shopping cart or maybe a contact form? Anything that is interactive on your website is part of the functionality of the website. This also includes slide shows, videos, and event calendars. The best way for a designer to get a sense of your style and taste is to see examples of websites you like. Looking for site samples will also give you new ideas for your own site. Remember, the example sites do not have to be in your industry. Pick sites that reflect the design elements you want to see in your own website. Who you are targeting will greatly affect who the website will be designed to attract. Take the time to do your marketing research beforehand. It is better to do a little pre-planning rather than go back after the fact to fix or re-design something. The number 1 reason a site gets delayed in launching is because the content is not complete. This is particularly important if you are designing a brand new website. Make sure to set deadlines for yourself and make room on your calendar. This way you will have the time to sit down and really think about what you want to say instead of rushing at the end just to have something on the page. Being prepared with your content will also help the SEO process go smoothly. A logo’s responsibility is to create an impression on potential customers whether it is on a website or a brochure. This impression has to portray what your business is about while still establishing a personal identity. Make sure your logo will look good weather is it small or large, in color or black and white. This will ensure that your logo is versatile and will be easy to use throughout all of your branding materials. Pictures attract people into your website. It helps create an atmosphere for your site and lends itself to the branding of your business. If you don’t have your own, a there are many great cost effective stock resources out there. What are the products or services you offer that will draw in visitors. Are you targeting a specific geography. Geo-targeting will reduce some of the unnecessary keyword competition. The content on your website is valuable for a couple reasons. Search engines read your content as a factor in determining your search engine ranking. It is also what your potential customers read and convinces them to buy your product or service. With all the money and attention to detail you will have on the website design, make sure you put equal importance on having quality content to back-up the design. Are you having problems communicating with your web designer? Did you find these tips helpful? For a while now, website content management software systems has been dominated by three big players: WordPress, Joomla, and Drupla. We get ask all the time, which one is the best solution. Well, the wait is over, we found an article that breaks down the important components of a content management system and compares how each one stacks up against each other. Based on our own experience and information gleamed from this article, WordPress comes out as the winner by a landslide. In almost every element that you can judge a content management system, WordPress is superior. It started as a blogging platform but since then has evolved into this great solution for websites. Offering a slew of plugins to fit almost any functionality requirement, WordPress popularity and use has skyrocketed. We have worked with other content management systems in the past but WordPress is by far the most intuitive and user friendly, which is especially helpful for the end user.